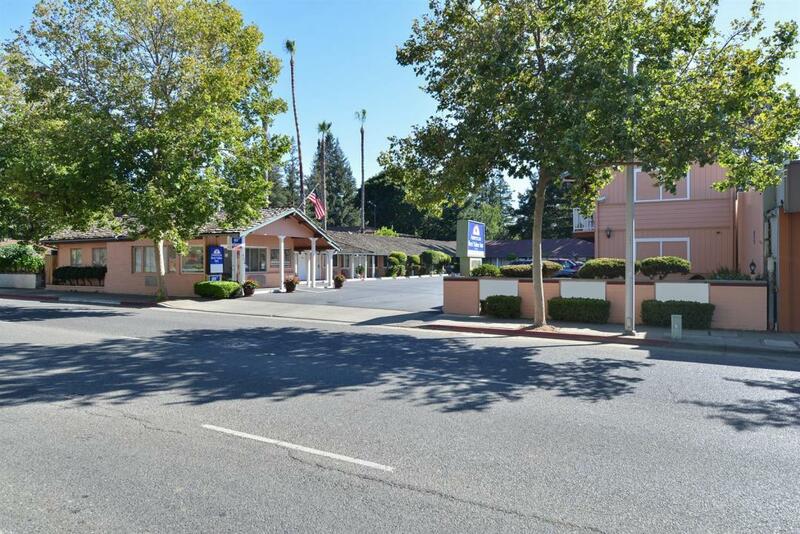 Welcome to Americas Best Value Inn Sky Ranch; perfectly situated in the cultural heart of the San Francisco bay area between San Francisco and Silicon Valley. Not only are we near many cafes and restaurants, but our hotel is also one of the closest hotels to Stanford University. Our exterior corridor hotel is close to Palo Alto Junior Museum and Zoo, Cantor Arts Center at Stanford University, Shoreline Amphitheatre, and Foothill College. Outdoor enthusiasts will appreciate being only minutes from Mitchell Park, Palo Alto Golf Course, and Palo Alto Hills Golf and Country Club. Shop at nearby Castro Street or Stanford Shopping Center. Enjoy a delicious lunch or dinner at Hobee's Restaurant, Dinah's Poolside Grill, or Su Hong Eatery. Our Palo Alto hotel is 100 percent smoke-free. 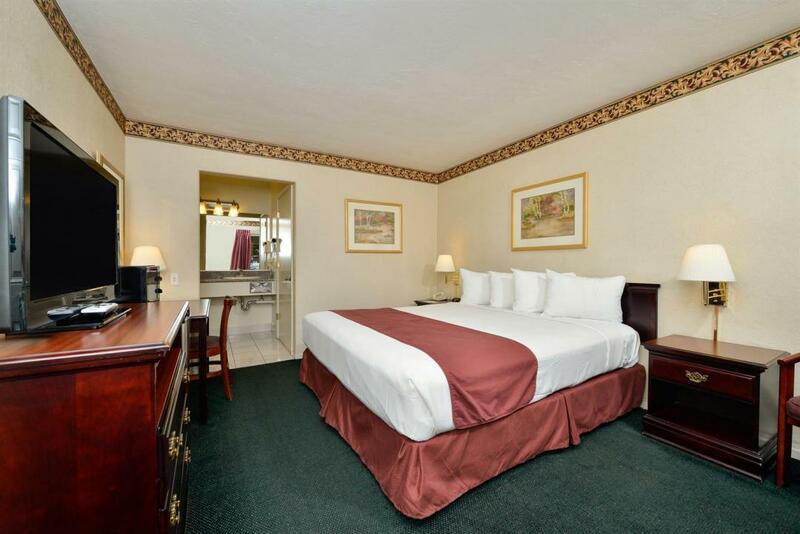 Business travelers and family vacationers alike are sure to find our spacious accommodations, attentive service, and ample amenities to their liking. Children 11 years of age and under stay free in parent's room with existing bedding. Sorry, no pets allowed. 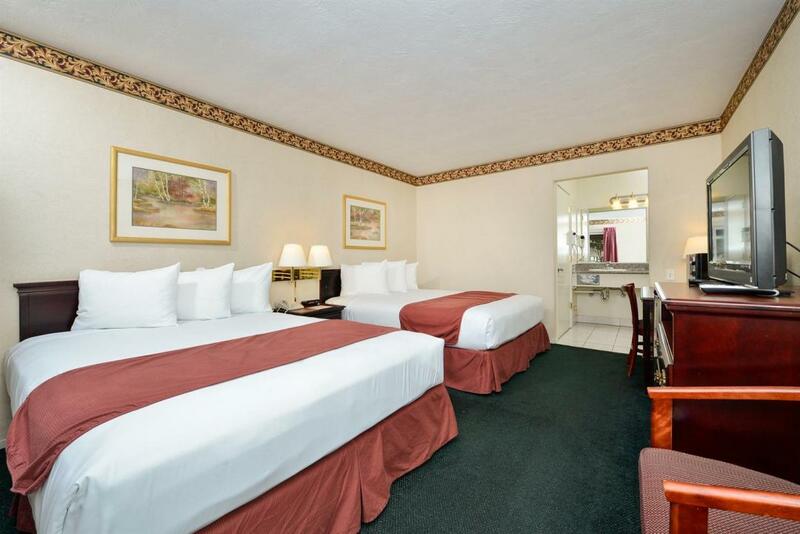 At Americas Best Value Inn Sky Ranch, We've Got You Covered from the time you hit the road until your head hits the pillow. Dinah's Poolside Grill, 0.4 mi. The Sea by Alexander's Steakhouse, 0.5 mi. Su Hong Eatery, 0.6 mi. Little Caesars Pizza, 1 mi. The Pasta Market Italian Restaurant, 1.1 mi. Oregano's Wood-Fired Pizza, 1.1 mi. Armadillo Willy's BBQ, 1.4 mi. Palo Alto Bowl, 0.6 mi. San Antonio Shopping Center, 1.2 mi. Palo Alto Square, 1.5 mi. West Bay Opera, 1.5 mi. California Youth Symphony Association, 1.9 mi. Cinemark Century Theaters, 3.2 mi. Castro Street Shopping, 3.2 mi. Mountain View Center-Performing Arts, 3.3 mi. Watercourse Way Bathhouse Spa, 3.4 mi. Palo Alto Lawn Bowls Club, 3.4 mi. Palo Alto Children's Theatre, 3.5 mi. Palo Alto Players, 3.5 mi. The Stanford Theatre, 3.7 mi. Stanford Shopping Center, 4.1 mi. Palo Alto Golf Course, 4.5 mi. Shoreline Lake Aquatic Center, 4.6 mi. Palo Alto Hills Golf and Country Club, 4.8 mi. Supreme Court 1 Athletic Club, 6 mi. Deep Cliff Golf Course. 10.1 mi. El Corte de Madera Creek Open Space Preserve, 16.9 mi. Quarry Lakes Regional Recreation Area, 17.9 mi. Los Altos History House, 2.5 mi. Computer History Museum, 3.3 mi. Palo Alto Junior Museum and Zoo, 3.4 mi. Museum of American Heritage, 3.7 mi. Sunnyvale Heritage Park Museum, 6.9 mi. California's Great America, 10.4 mi. Santa Clara Convention Center, 10.4 mi.